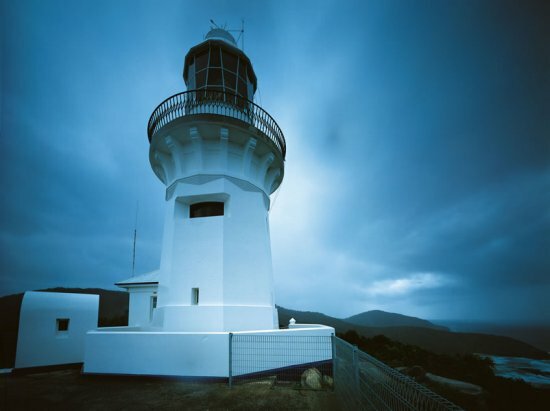 Smoky Cape Lighthouse | Lighthouses of Australia Inc.
Wth its unusual octagonal tower, the Smoky Cape Lighthouse was one of the last lighthouses to be designed for architectural excellence. Future lighthouses were to become mere functional engineering projects. 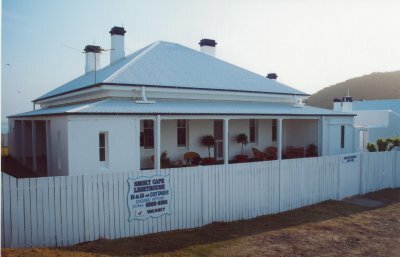 Smoky Cape was named on 13 May 1770 by Captain Cook: the name arising from the great amount of smoke from Aboriginal burn-off fires on the headland. 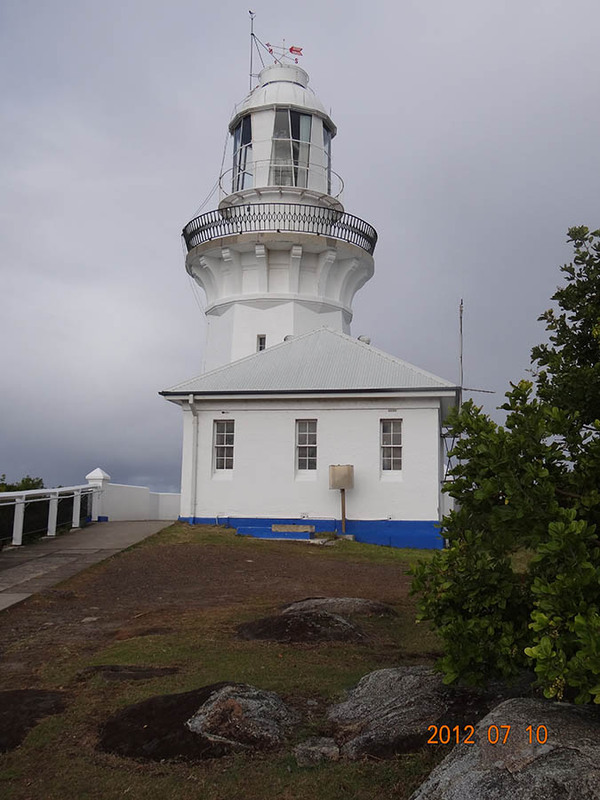 The lighthouse, first proposed in 1886, was to ensure the safety of the increasing coastal traffic on the colony of New South Wales northern seaboard. 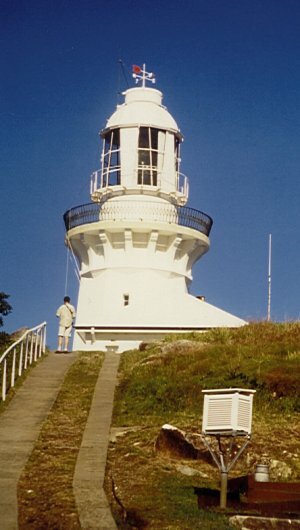 The light was completed and first exhibited in 1891 and has several claims to fame. 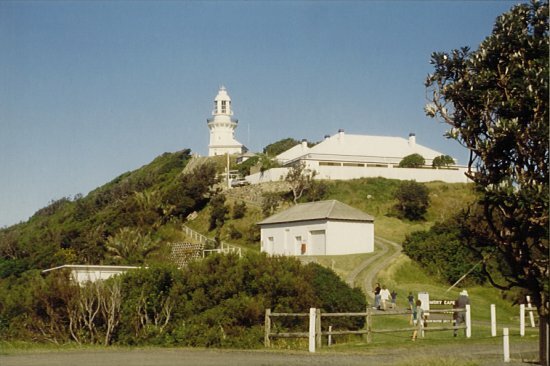 With the dismissal of the renown James Barnet, who designed lights such as Cape Byron Lighthouse and the new Macquarie Lighthouse, and the abolition of his office of Colonial Architect, responsibility for future lighthouses passed to the Engineer-in-Chief for Harbours and Rivers. This marked the end of a lighthouse representing ‘architectural excellence’. From here on most would simply regarded as engineering projects with less and less regard to aesthetics. The other is the unusual feature of having a octagonal tower. This was because it was easier to cast the tower in the octagonal formwork than round formwork. The material used to cast the tower was concrete with local granite aggregate. Mr Oakes who won the contract to build the lighthouse complex died during construction and the work was completed by his executors. The tower is divided into two storeys, with iron floors and staircases. The crown is a typical Barnet being granite voussoir blocks supported on moulded granite cantilevers. The balcony sports an ornate gun metal railing stamped with Queen Victoria’s mark. The apparatus consisted of a first order lantern and lens system that is still in use today. The lantern revolved on rollers turned by a clockwork winding mechanism consisting of cables and weights. In 1912 the original Douglas burners, equipped with 6 concentric wicks, were replaced by Ford-Schmidt incandescent mantles fuelled by kerosene vapour. In 1962 the apparatus was converted to mains electricity. The roller pedestal was replaced with a thrust bearing model powered by an electric motor. With this the compliment of keepers were reduced from three to two. There is a small aperture below the balcony that once held a a subsidiary red light to cover Fish Rock. It is believed the light was automated in 1988 and has since been demanned. The complex consists of the tower and annexe, the headkeeper’s residence and assistant keepers residences as semi-detached cottages, a coach house and stables. 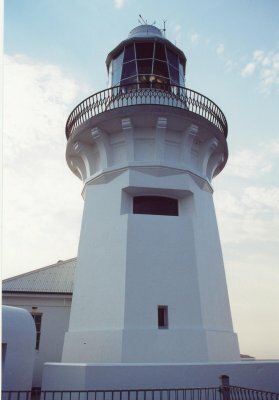 As a result of the Commonwealth Lighthouses Act of 1911 this light was transferred in 1915 to Federal control because of it status as a coastal light. The lighthouse grounds are open all year. Park entry fees may apply.